Much to their credit, Ring Festival LA has done a great deal to reinforce the image of Richard Wagner as an anti-Semite. This was probably not their initial intention. More likely they couldn't have cared less about publicizing Wagner's personal failings until their world was rocked by the Antonovich resolution. Badmouthing their own Festival's artistic hero, Richard Wagner, probably made the job of introducing new listeners to his Ring Cycle more difficult. But as Ring Festival LA "leader" Barry Sanders said "We're not putting lipstick on a pig in this thing." As a thought experiment, imagine how our contemporary musical world might be different today if Wagner had not hated Jews and instead had been Jewish himself. Science fiction authors indulge in this sort of imagination all the time. It's called Alternative History. 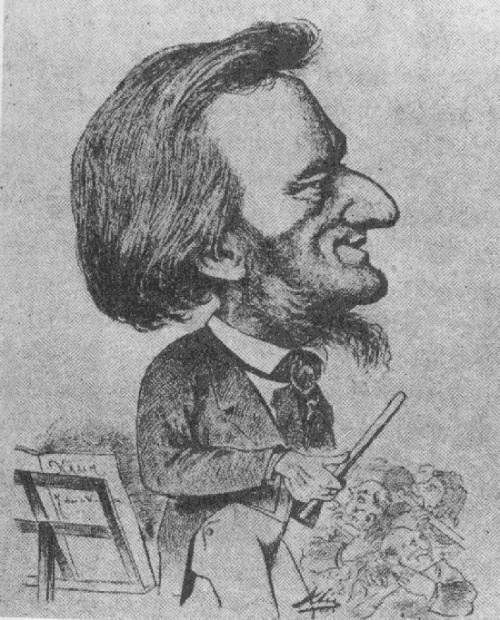 Had Wagner been born into a 19th-century German Jewish family he could well have had to convert to Christianity in order to have a successful career as a composer. After his death he would not have inspired Hitler but instead been rejected by him simply because of his Jewishness. This would have been true even if Wagner had composed the same identical operas. Under the Nazis Wagner's music would have inevitably suffered the same fate as that of other Jewish composers. It would have been completely banned. It's even possible that today, in 2010, endless Wagnerian potboiling would have come to represent anti-Nazi resistance and maybe even gotten him included in L.A. Opera's now concluded Recovered Voices series which seemed to specialize in certain Jewish composers who wrote like Wagner. Like all good premises for a book of alternative history this one might begin with a grain of truth. Wagner himself wondered if he was actually of Jewish ancestry because he suspected that his stepfather, who could have been Jewish, was really his biological father. We may well believe that Richard Wagner, author of self-serving diatribes against Jewish composers of his time, poster boy for German music under the Nazis, poster boy for anti-Semitism-forgiven by people who like his music in contemporary Los Angeles, might have believed that he himself was actually a Jew. He certainly would not have wanted that to become public knowledge. Such self-doubt must have been unbearable for him. Did he live an agonizing double life, constantly in fear that he might be discovered? Did he rationalize his baser personality traits - for example his adultery - on unavoidable Jewish character flaws? It must have been hell being Richard Wagner. You may wonder how a person who imagined he might be Jewish could write such anti-Semitic tracts as Wagner did. It turns out that even real Jews can be anti-Semitic. These people are called "Self-Hating Jews". 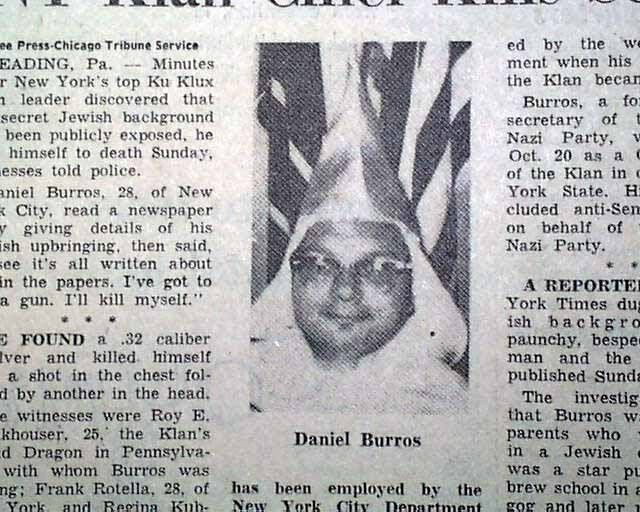 One notable self-hating Jew was Daniel Burros, a New Yorker who for a time belonged to George Lincoln Rockwell's American Nazi Party. Later he joined the KKK where he rose to the rank of Kleagle (a more interesting job title than "leader"). In 1964, when Burros was publicly outed as a Jew by the New York Times, he committed suicide. Reportedly he did this while listening to the music of ... (wait for it) ... Richard Wagner. How poetic. Much to my surprise the subject of whether Wagner wrote "Jewish music" came up in a Ring Festival L.A. press release earlier this year. Here is the final paragraph from the release announcing Wagner and Anti-Semitism. This was a symposium at the Hammer Museum held on Feb. 9, 2010. No author of the release is mentioned. Finally, can one venture to speculate about whether Wagner has indeed been, in certain ways, “good for the Jews”? That is, how have Jewish musicians, writers, and artists appropriated and deployed Wagner’s radical innovations for their own purposes, leading to otherwise unavailable transformations? (e.g., Schoenberg, as well as the various “Recovered Voices” composers – Schreker, Zemlinsky, Ullmann, Schulhoff, etc. – many of whom adored Wagner and composed very much in his wake, and used him to create “Jewish” works like Schoenberg’s Moses und Aron). Is there such a thing as a Jewish attraction to Wagner? And if so, how might we account for it? Might we even go so far as to suggest that there is something “Jewish” about his music, despite his own evident anti-semitism? I confess to being knocked off my chair the first time I read this. I wondered whether the very suggestion -- that Wagner's music was "Jewish" because several of his imitative followers were Jews -- was slyly anti-Semitic. In reality those Jewish composers had suffered because they were German Jews not because they imitated Wagner. Their Jewishness got their Wagnerian music consigned to the very backwaters of music history. If it can be argued there was "Something 'Jewish'" about Wagner because he influenced Jewish composers, couldn't one argue that there was "Something National Socialist" about Wagner because he influenced Nazis? I didn't attend this symposium. I just discovered that the Hammer museum has provided a nearly two-hour video of the event online. In Kenneth Reinhard's introduction he vaguely echos the bizarre press release. That makes me wonder if he's the anonymous author who is suggesting that we need to discuss Wagner's Jewish music. I was happy to discover that the particular subject did not come up. I'm also happy to report that I found the seminar fascinating. The standard tropes about whether the Wagnerian plots or characters are anti-semitic got discussed (my opinion: they're not). Also much energy was given whether it's time to quit talking about the subject of Wagnerian anti-semitism (my opinion: it's not). I was extremely impressed with the comments of Leon Botstein. In the performative sense he stole the show. Also in the informative sense. I found myself in complete agreement with a great deal of what he said. 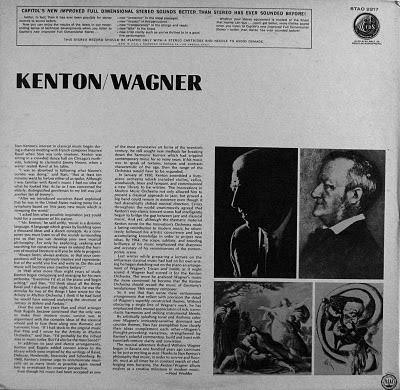 I found more agreement with his notions of Wagner's proper place in modern culture or modern Los Angeles than with anything I've heard or read on the subject for the last year. Botstein is a respected academic and talented orchestra conductor whose opinions carry a lot more weight than my own. I'm going to close this post with selections from Botstein's opening remarks. These begin at the 40 minute mark. Clearly he was not reading from a prepared script. You'll find him much more entertaining on video. First of all, I don't think more productions of the Ring are necessary. Not because he was an anti-Semite but because it's just boring. The only thing interesting about Wagner is the capacity to write brilliant musical prose and to repeat himself without musically losing your interest. The craft of this composer is enormous. And the innovation that he brought to the writing of music really has very few parallels in the history of music. You can't avoid him if you're a musician. But if you're not a musician I don't know what you're doing here. Hooray for Leon Botstein! Too bad that his opinions didn't get more widely reported. You can read a dour review of the seminar here. Here's an article about Daniel Burros and other similar cases. If Wagner relied in practical ways on certain Jewish supporters, he also experienced a psychological dependency: the Jews embodied aspects of Wagner himself, aspects he wished to transcend and could not. The Jew in the mirror was the negative image of an unfulfilled personal identity. A great alternative history novel -- about European Jews who settle in Alaska when the State of Israel does not survive - is called The Yiddish Policeman's Union by Michael Chabon. It's a murder mystery. Some other Mixed Meters writings on why Los Angeles is not a Wagner town. I've recently read a few descriptions of the music of Richard Wagner which struck me as true. Although these were not actually intended as arguments against Wagner's music, I think they work pretty well in that regard as well. First is one of several reviews of L.A. Opera's Ring cycle by L.A. Times music critic Mark Swed. The title of this one is Mission Accomplished: L.A. Opera's 'Ring'. "Mission Accomplished" itself is arguable. 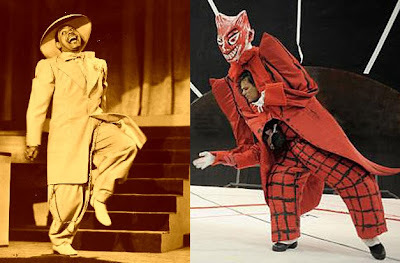 While the Opera's mission of producing a complete Ring was obviously accomplished, their goal, as stated in an early press release, of creating "a defining moment in the cultural history of Los Angeles" was not. Los Angeles is no more of a Wagner opera town post-Ring than it was before. Sunday, midnight, Los Angeles Ordinance No. 181069, which is meant to close down numerous medical marijuana dispensaries around town, went into effect. No police, however, needed summoning to the Music Center. Los Angeles Opera shooed away its regulars by 11. Nine days earlier, the company had begun dispensing a drug with the street name of the "Ring" (short for its pharmaceutical appellation, "Der Ring des Nibelungen"). This opiate, invented in the 19th century by one Richard Wagner, is not, strictly speaking, a chemical substance. But it operates on the central nervous system like any other narcotic, altering perception, consciousness and sense of time. And, yes, it is highly addictive. The comparison of Wagner's Ring to an opiate is apt. Morphine and codeine are opiates you might have heard of; both are carefully controlled substances, dangerous in the wrong hands. I've recently watched the effect of morphine on two terminally ill patients. Although they seemed to feel no pain under its effect, it was not pleasant to observe them as they struggled to breathe their last breaths. We wondered what dreams could penetrate such a drug haze. From the objective external evidence it was difficult to convince ourselves that the drug had put these dear people into the pleasant, quiet reverie we wished for them. It would be easier to imagine those drugged dreams came with a churning Wagnerian sound track. Judging by stories of Ringnuts who attend uncountable numbers of Ring productions, Richard Wagner's Ring does seem to be "highly addictive". Maybe the government should consider protecting its citizens from such a dangerous substance. The end of the first complete cycle of Achim Freyer’s staging of the “Ring” for the Los Angeles Opera left me simultaneously energized and exhausted late Sunday night, as though I had just undergone intense hours of dreaming without the restorative benefit of sleep. I wonder about the phrase "without the restorative benefit of sleep". It makes me think that listening to this Ring was not an entirely pleasant experience for him and that he found himself uncontrollably and unpleasurably bouncing off the walls. I do think the word "hypnotic" is revealing. Hypnotism is a state of mind in which a subject is made to strongly focus on outside suggestions. These suggestions might overwhelm their own natural protective inhibitions. Some people are more susceptible than others. 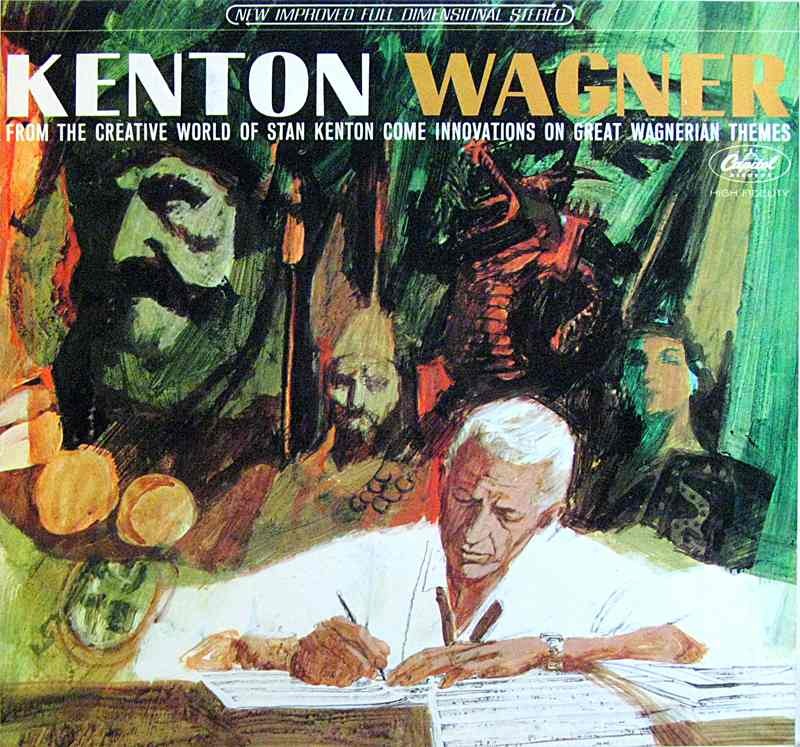 I've always felt that those who enjoy immersion in Wagner's music must be very accepting of his constant stressful flow of suggestive musical tensions and emotions. Who knows what crazy ideas might come to mind from Wagner's unrelenting stream of innuendo. I'm now going to explain this joke in detail because I suspect some people take Wagner far too seriously to appreciate its humor. You must first remember that Hitler, who was more strongly influenced by Wagner than any other evil military dictator in history, actually did conquer Poland, committing the most unspeakable atrocities along the way. But Woody Allen is not Hitler. He's the poster boy for underweight, meek neurotics everywhere and Jewish to boot. It's completely impossible for him to invade Poland. Like the Pope, Woody has no divisions. His absurd suggestion that he too might try to overrun Poland simply because he had heard too much Wagner creates a tension in the mind of a person who hears the joke. Woody juxtaposes the silly with the horrific. Many people find this jarring - and they spasm involuntarily in response. That strange human spasmodic behavior is called laughter. Things which produce laughter are called funny, hence this joke is funny. But it has a tinge of human suffering and catastrophe about it as well. Laughter seems like a callous response. I recently found a Facebook page named loosely after Woody's joke. It's called When I Listen To Wagner, I Get The Sudden Urge To Conquer Poland It's a public page which anyone can visit - but few people have left comments and as of this writing the last activity was eight months ago. There are a number of droll suggestions about using the joke as a motto for German language clubs in high schools. And several people mention how they use Wagner's only authentic cultural meme, The Ride of the Valkyries, as a highly amplified inspirational soundtrack for driving dangerously. I conducted selections from Der Ring des Nibelungen last semester at my college...you have no idea that power trip I was on at the time. It was wonderful. A wonderful power trip from conducting Wagner? Obviously conducting Wagner is an experience I'll never have, but Nick's comment seems quite revealing and believable. Anyone could test this idea by turning up the volume on a recording of the Ring and pantomiming conductors patterning in front of the speakers. It must be dangerously thrilling to control such a stream of powerful energy. I bet James Conlon would understand completely. Wagner has been described as an opiate. Wagner is revealed as a source of hypnotic suggestions. Wagner sends orchestra conductors on a power trip. All these notions fit with my own impressions of the music. None of them would ever make me think producing Wagner's Ring is good for Los Angeles. Or even that listening to Wagner's Ring is a positive thing to do. In my wildest imagination Wagner would be regulated. You would not be allowed access to Wagner without a prescription from a pyschiatrist and a clearance from a Doctor of Music. 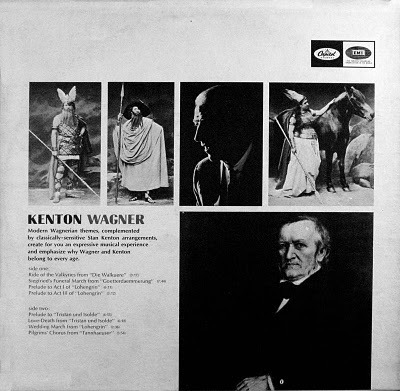 Wagner recordings would be locked up behind the counter in record stores (if any record stores survive). There would be an age limit like for attending certain movies. None of this is likely to happen because no one pays attention to what I think. But if they did, I'm sure the people of Poland would be eternally grateful. This was going to be part of Kenton Wagner, the previous post. Then I decided that, when speaking of Wagner, brevity is a virtue. So this became a separate entry. The Los Angeles Times has been sending various performing arts critics to L.A. Opera's Ring performances. The current pop music critic is named Ann Powers (a name I had never noticed previously.) She wrote this about the third opera in the cycle, Siegfried. The blond hair of the title character reminded her of a certain punk rock figure. 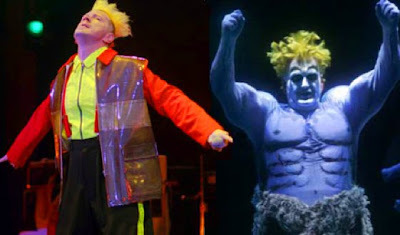 Yet the mad twinkle in heldentenor John Treleaven's eyes -- not to mention his neon-yellow wig -- brought Johnny Rotten to mind, as Achim Freyer's reinterpretation of this classic hero's journey did something really unexpected, establishing a link between Richard Wagner and punk. Her argument is that visual aspects of this particular production of Wagner reminds her of comic book heroes. And comics were inspiring to the punk generation. And so I guess she is implying that Wagner must have had this in mind all along. Or maybe that all punk tunes are based on Wagnerian harmonies and Norse mythology? Or maybe she just needed to fill out her review with familiar references. Did you know that Cab Calloway was a great admirer of Wagner's Ring? Ring Festival L.A. has its own original popular music arrangement of Wagner's scores on tap this coming Saturday, a concert by the deKah Hip Hop Orchestra. Double G (daKAH’s co-founder/conductor/composer, Geoff Gallegos) is creating a new sound track, one that acknowledges a more sinister side of the Ring and marries it to distinctly LA flavors. Derived from source material within the Ring, Double G envisions his music will speak, in the most visceral of ways, of contemporary atrocities in LA. If Wagner was alive and writing a score for this city’s brand of “warfare,” this is how it would sound, adrenaline-pumping, fear-inducing and gut-wrenching. Double G’s work will reflect the intensity of both Wagner’s Ring cycle and, appropriately, the West Coast brand of Gangsta Rap. I found this video of Double G himself. Some clues as to what he's going to do to Wagner. In this short video clip Robin Williams, noted social commentator, speaks to the issues of Wagner and Hip Hop. Another Wagner/pop music event, last year in Slovenia, came to my attention via the Internet. It's called VolksWagner. Yes, that's Volks as in Volkswagen. It was created by someone/something called Laibach. 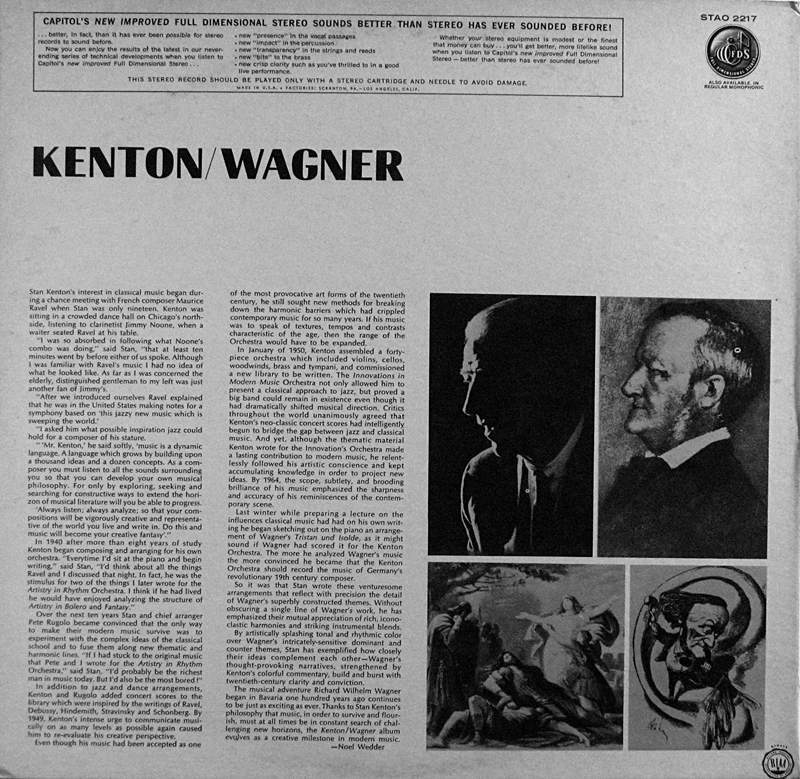 the collaborating artists have decided to seek in Wagner the rudiments of modernism, which first through Mahler, Bruckner, and Debussy, and subsequently through Schöenberg, Berg, and Webern, developed into the core of the jazz music of the sonic experimentalists, such as Miles Davis and Sun Ra, and to upgrade them with the ambient electronic spectrum that has been developing over the last three decades. In addition, the suite will address the history of the 20th century – modernism crossbred with pop art. Apparently, someone, somewhere thinks every popular musician in the whole world during the last 150 years somehow owes their musical style to Richard Wagner. What a sad world it would be if that were true. 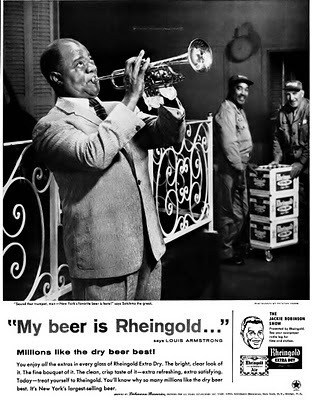 Look, this picture proves that Louis Armstrong was a big fan of Wagner's Ring. The Rheingold ad came from here. I've never met anybody who could sit through the entire Ring of the Nibelung and come out sane. Or even alive, for that matter. You can buy all three in a bundle from Amazon for $260.82. 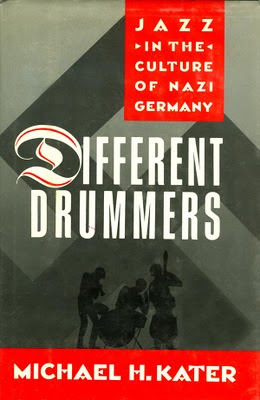 Different Drummers was the most fascinating to me. This is because the Nazis were largely unsuccessful in controlling the people's desire for popular music, swing jazz. 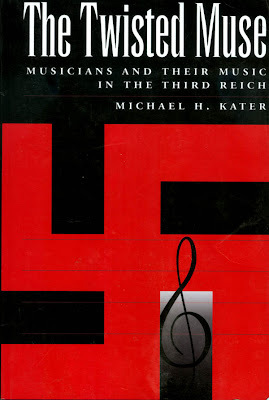 Jazz was anathema to Hitler and his cronies who viewed it as Jewish and Black (i.e. racially inferior). Once in power they worked hard to repress the thriving Weimar jazz scene. Read more here. The second book, The Twisted Muse, deals with classical music under the Nazis. It is largely a story of governmental bureaucracy. Along with their belief in the supremacy of German people over everyone else, the Nazis leaders believed in the supremacy of German music. They were big time classical music fans, especially of opera. Using dictatorial powers, they promoted (or demoted) composers, conductors, singers, orchestras and opera companies, according to personal tastes and dogmatic bigotry. They worked this magic through an official government agency called Reichsmusikkammer (Reich Chamber of Music). Meanwhile, Jewish musicians were forced into separate organizations through the Jüdischer Kulturbund (Jewish Culture League). Jews were prevented from performing "true" German music. Such official meddling in the arts should make us feel fortunate that the US government ignores the arts as much as it does. One of my earliest Mixed Meters posts, In Which David Imagines George Bush and Charles Ives, was written after reading this book. 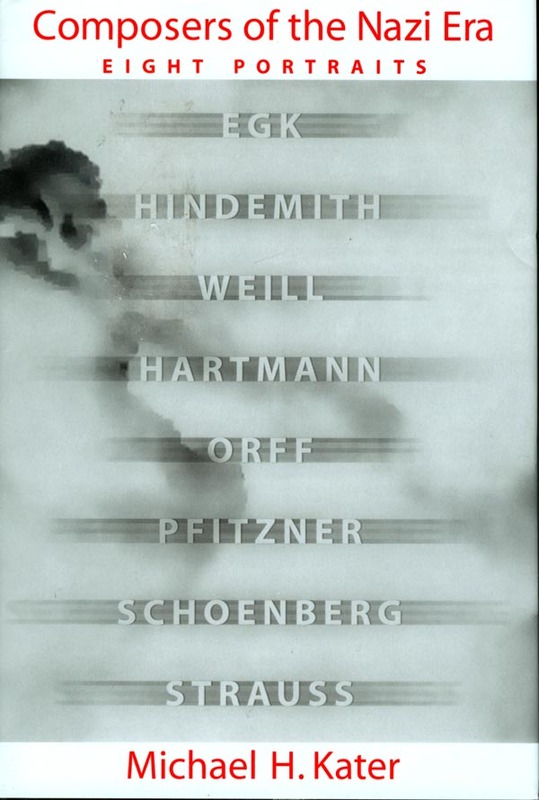 The eight subjects of Composers of the Nazi Era all appeared in The Twisted Muse as well. Instead of getting bit parts in a complex story which ends in 1945, this book gives each composer a complete career biography. Those who lived under the Nazi regime were all forced to justify themselves after the war in order not to completely lose their musical careers under the new political system. 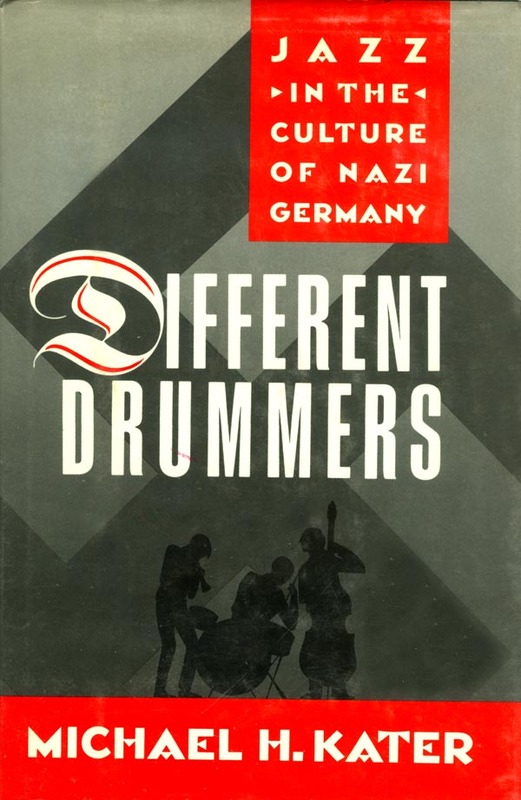 The stories of how they revised their biographies and recast their personal histories, often with outright lies, to make themselves seem less involved with the Nazis is the most interesting part of Composers of the Nazi Era. 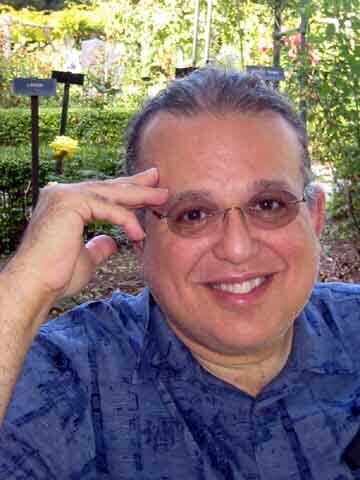 Here are the eight composers Kater chose for his book, along with my short biographical sketches. Werner Egk became an official of the Nazi's Reich Chamber of Music and was called "a worthy successor to Richard Wagner" by Hitler himself, but managed a successful post-war career. Paul Hindemith didn't really want to leave Germany but his early atonal music colored his reputation with the Nazis - who also didn't like that he was married to a half-Jew - and they banned his music. Kurt Weill, forced out of Germany in 1933 because he was Jewish, became a hugely successful composer in the US and then spent a good deal of his time pursuing sexual affairs. Karl Amadeus Hartmann, a composer with leftist political sentiments, gave up his career as composer during the Nazi years and as a result was a safe choice for appointment by the Allies to post-war positions of musical authority. Carl Orff, composer of that one big popular hit, was still distrusted by the moralistic Nazis. 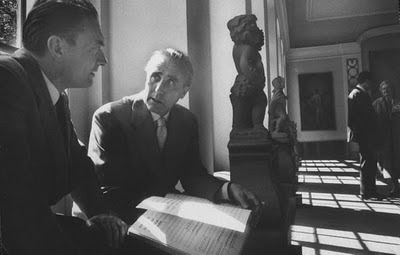 At their request he attempted to compose replacement music for Mendelsshon's "Jewish" A Midsummer Night's Dream. Orff hid the fact that he was one-quarter Jewish and after the war falsely claimed to have been part of the anti-Nazi resistance. 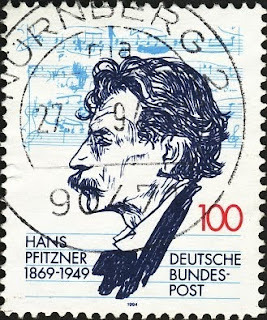 Hans Pfitzner was a composer with medium talent paired with an oversized ego. He was an early and life-long supporter of the Nazis and an anti-semite. Since Hitler had personally decided (erroneously) that Pfitzner must be half-Jewish (after Pfitzner defended a few talented Jewish musicians), Pfitzner never got the respect and recognition he was certain he deserved. Arnold Schoenberg, forced to leave Germany because of his religion, was, like Pfitzner, hugely egotistical and concerned with his place in the history of music. This biography deals mainly with Schoenberg's years of stagnation in Los Angeles. Richard Strauss, the greatest German composer of the times who possessed a correspondingly large ego, tried at first to accommodate the Nazi regime. But he was a lightweight politician and gradually lost favor with the Nazis. They resented both that Strauss' son had married a Jewish woman (which meant Strauss' grandchildren were Jewish) and that his favorite librettist was Jewish. 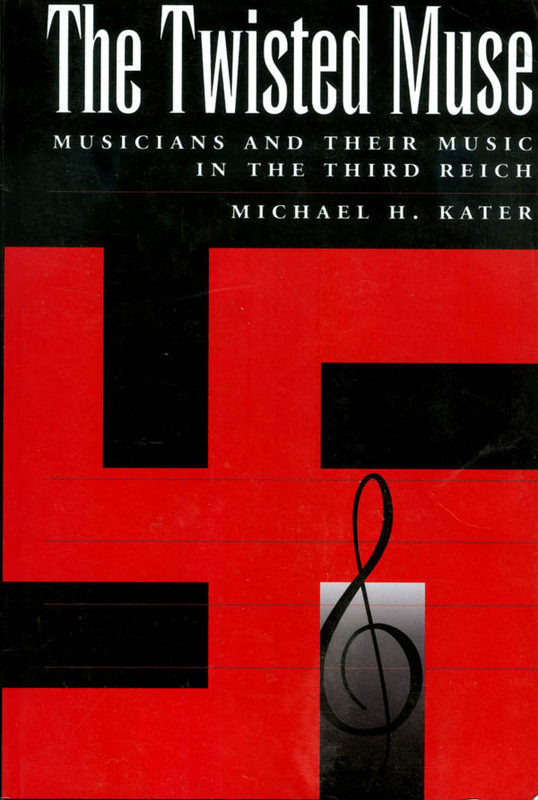 Michael Kater writes in the conclusion of Composers of the Nazi Era that he decided to write this book of biographies as a sequel to his two earlier exhaustive narrative histories because of the "often seemingly contradictory patchwork-quilt [of] evidence" making it impossible to describe any character as fully guilty or fully innocent. One and all -- musicians and singers, composers and conductors, all of whom had to make a living as artists in the Third Reich -- emerged in May 1945 severely tainted, with their professional ethos violated and their music often compromised: gray people against a landscape of gray. He also tries to explain how the Germans came to take their music so seriously. Certainly until 1945, the Germans as a people... defined themselves and their history decisively through Kultur -- they say they always had it, and nobody else did. In their collective view, this is what set them apart from materialistic British moneybags, degenerate French hedonists, insensitive American pragmatists, work-shirking Italian fools, and the alcoholized denizens of a half-Asiatic Russian empire. Moreover, nothing in the German mind has defined Kultur so quintessentially as its music -- German music. The most terrifying exponent of genuine music as exclusively German was Hans Pfitzner, who throughout the 1920s sharply polemicized against all the enemies "of our national art, especially music." Once in power, through their various propaganda speeches, the Nazi leaders made very sure that they understood well Richard Wagner's original dictum that "the German has the exclusive right to be called 'musician.'" Germany was "the first music nation in the world," insisted Reich Propaganda Minister Goebbels. What moral, I hear you ask, do I draw from all this ancient musical history? What am I, as a pragmatic (and probably insensitive) American Jewish musician, to think of the moral dilemmas and social upheavals endured by German musicians between 1933 and 1945? Their story is so singular that I have to question whether any comparison at all can be made with contemporary times. My answer lies in the notion that music can somehow represent universally knowable "higher" religious, spiritual or nationalistic truth - that's what the Nazis believed. This idea seems vestigal in my day and age. It's different than simply liking or disliking music. It's about the (mistaken) belief that music somehow contains certain essential, substantial revelations which are the same for everyone who hears it and which don't change through history. Such a faith still lives primarily in a subset of the classical music audience, they who reverently gather, church-like, in concert halls and opera houses to hear their musical "gospels" sung and played. I suspect that these listeners would agree with the notion that certain music is good for you, ennobling. And if some music is good, I suppose it follows that some other music is bad, degenerate. This attitude is the beginning of a slippery slope. At the bottom of that slope you will find the story of how the Nazis used and abused music.